Aargh! My life is nothing but chaos these days. Between trying to get unpacked, adjusting to being back in the office, the longest commute I've had in a dozen years, and a very large project at work my head is just spinning. It is ridiculous how far behind I am with unpacking and putting things away. The movers did a lousy job with labeling boxes, so looking for anything specific is just hit or miss. We are still using disposable silverware because I can’t find the box with our real stuff. Every box seems to have a crazy mishmash of stuff in it, and they apparently labeled every one of them “purses”. I swear I don’t have enough purses to fill up that many moving boxes. Work has also been crazy. We have a very large software roll-out coming up on July 4 week-end. I’m really lucky that I’m not directly involved, but I do pick up some of the slack and do some testing. I've also been working on making the changes that our e-mailing marketing program has to make because of Canada’s new anti-spam laws. We started on that a little late, so I’m up to my eyeballs in Canadian emails. I’m not even going to talk about the commute. I whined about that in my last post, so I won’t bore you with it again. I’m doing better with the commute, but the getting up early thing is still really challenging. Right now I’m just really hoping I can make it through the next 4 days. If I can make it to the week-end we will have the roll-out and whenever I’m not working on that I can hopefully work on unpacking and organizing. Doesn't look like there are any cook-outs or fireworks in my future, but I’ll gladly trade them just to get through the crazy chaos of the last few weeks. 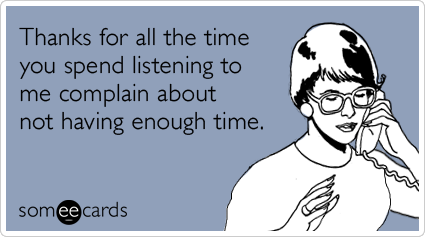 Thanks for listening to me whine! Holy cow, this has been one exhausting week! This has been my first week back in the office after working from home for 8 months. It has been great seeing all of my co-workers. I also didn’t realize how much I missed having human interaction during the day. However, trying to get used to going into the office everyday again has been hard. The best part of working from home was that there was no commute. I now have a commute that takes anywhere from 45 minutes to an hour, depending on the traffic. I knew that it would be a rough commute when we bought the house, but we really wanted something that was out in the boonies away from the city craziness. Luckily, after my three long road trips I have gotten really good at amusing myself on long drives. Another thing that is tough getting used to again is the amount of time it takes to get ready in the morning. While I was working from home I got really used to just throwing on yoga pants and a t-shirt, pulling the curls into a ponytail, and sliding on my house slippers. Luckily I work in a really casual office, so I don’t have to get dressed to the 9’s every day. Still, a work casual look takes more time that a home casual look. The hardest part is that I was in the eastern time zone when I worked from home, but my company is based in the central time zone. I matched my hours to theirs, so I didn’t even log in until 8:30. I could wake up at 8:00, shower, dress, have a leisurely breakfast and still be to work early. Now I am having to wake up at 5:30 and hit the ground running to get to the office in time. I am a night owl by nature, but I’m working on turning myself into an early bird. 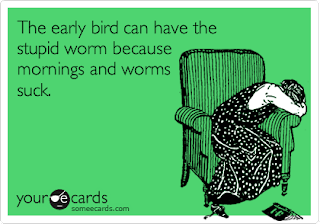 If anybody has any words of wisdom on converting from a night owl to an early bird, please leave them in the comments below. I could use all the help I can get! We have a new family member! 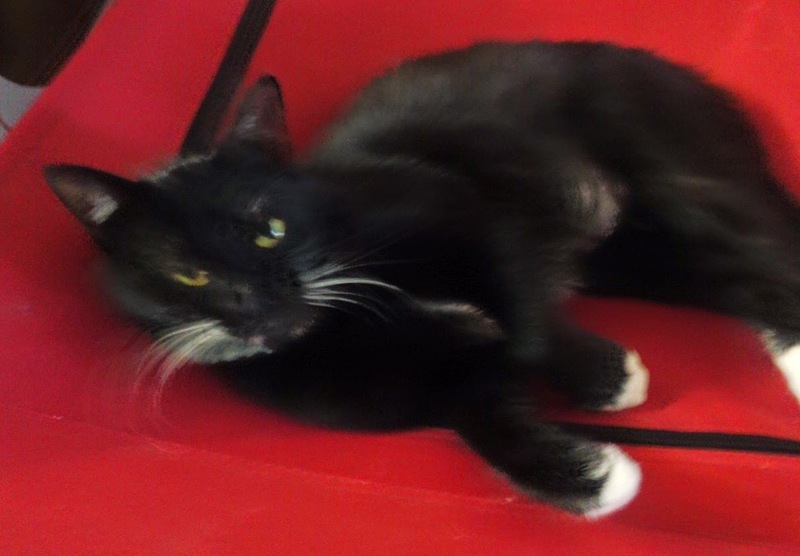 On Friday we adopted a beautiful year old black cat from the ASPCA. A cat. A black cat. On Friday the 13th. I guess if anybody ever asks if I am superstitious I can safely say no! I wasn't trying to be ironic by adopting a black cat on Friday the 13th. I didn't even realize it until we were doing the paperwork and then I got a really bad case of the giggles. Her name was originally Looney. It doesn't fit her at all and she doesn't respond to it, so we are changing it. We think her new name will be Harley, but we are waiting to see whether she seems to like it. I am a big believer than a pet will usually pick their own name if you just pay attention. She has settled right in and my two pups just adore her. She seems to love them right back and will give them kisses. She loves to give kisses. I’m sure you will be hearing lots about her here on the blog as I am completely smitten with this kitten. Everyone knows the old saying “A journey of a thousand miles begins with a single step”. Given that I have done three solo road trips of 1,000+ miles in the last month I think I have a few more things to say about the journey of a thousand miles. A journey of a thousand miles….. I have to brag on my sweet little pup, Piglet. She had a vet appointment today for her yearly vaccinations. 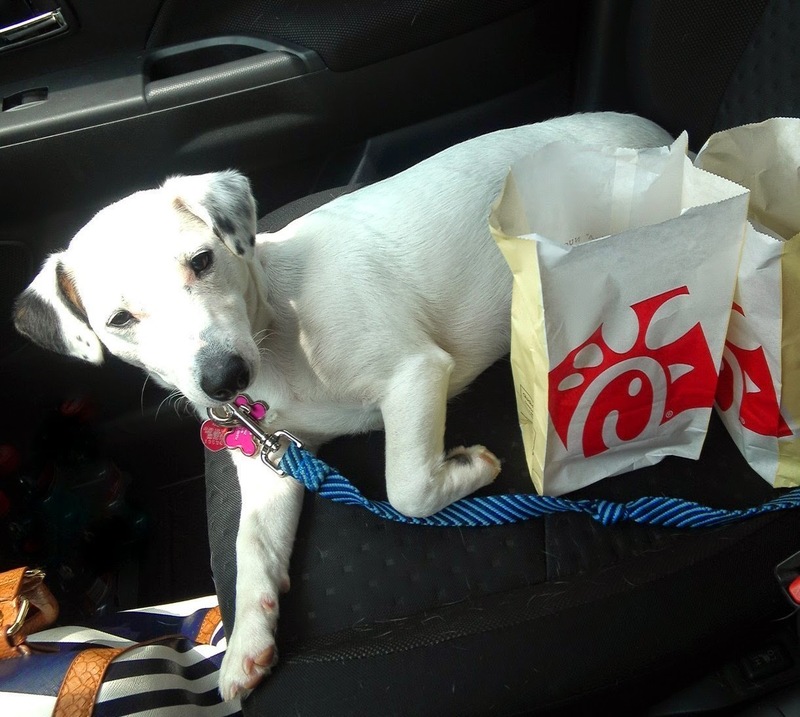 I promised her that if she was a good girl we would go to Chick-Fil-A for lunch. This dog loves chicken, so it is always my go-to bribe. She was very good, so we hit the drive-thru on the way home. Now, you would fully expect that a chicken-loving dog would have been snout first into that bag on the way home. My sweet little girl just curled up in the seat next to the bag all the way home. In fact, she was better behaved than I was (I couldn't resist sneaking a waffle fry). In case you were wondering, she got to have a whole order of nuggets all to herself. Pic taken in parking lot. Safety first! Recently I stumbled across a great blog called “Found Love, Now What?” written by Belinda, an expat living in Wales. I've always been fascinated by Wales, so I've had a blast reading about her adventures. Recently she started a Life is Good link-up. I've never participated in a link-up before, but this one seemed like it was right up my alley. I've been trying really hard to stay focused on the positive, so I decided to dive right in. The point of the link-up is to share the small, everyday moments that have brought us joy in the last month. I spent a lot of time trying to think about what moments to share, but nothing about my May was small, nor everyday. 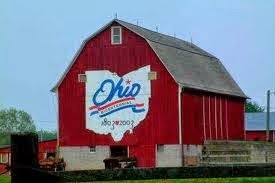 We purchased a house in Texas, hubby moved down to start his new job, and I have been in Ohio prepping for our move. Lots of highs, lots of lows, but not a whole lot of ordinary. Yesterday I had driven to hubby's hometown to visit with his grandma. On my way home I decided to stop by the cemetery to visit his parent's graves. That left me trying to navigate home from an area that I am not at all familiar with, so I pulled up the map application on my phone. I had lots of errands to run, so I wanted to get home quickly and not take a chance on getting lost. Apparently, the app had a different idea in mind. My phone, in its infinite wisdom, decided that the shortest way was through a series of twisting and winding country roads. My first reaction was to get angry. I had lots to accomplish! No time for this foolishness! Then, I decided that I should just calm down and go with the flow. Maybe this was the universe's way of telling me to take a little break. I backed off on the speed, and started to look around me. I took in the trees, the rolling hills, the fields, the beautiful old red barns. I rolled down the windows to let the breeze blow through my hair. I turned off the radio to enjoy the quietness of the country. A feeling of calm washed over me, and I decided that I had found my moment. My drive through the countryside was my joyful, everyday moment. In the midst of all the craziness of moving I had found an oasis of calm. For just a little while I could completely unplug from the stress, the lists, the plans, the work. I could just exist in the moment and enjoy the beauty around me. All too soon the moment was over and I found myself back on the interstate and rushing back to the real world of packing and moving. But I will always consider myself blessed by my accidental drive in the country.